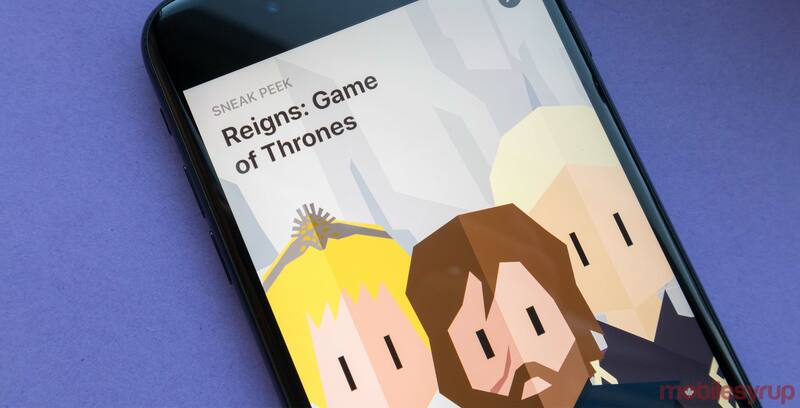 The upcoming Reigns: Game of Thrones mobile game for iOS is going to incorporate the iPhone’s TrueDepth camera into gameplay. According to an iOS App Store preview that can only be viewed on an iPhone or an iPad running iOS 11 or greater, the title will ask players to participate in stare-downs with other characters. “Whatever you decide, all eyes are on you,” reads an excerpt from the App Store preview. Since the latest Reigns game seems to use Apple’s TrueDepth camera for eye-tracking, it’ll be interesting to see if the feature isn’t as capable on Android — assuming that it’s even available on Android versions of the game. There aren’t a lot of games that incorporate face-tracking as a way to control or engage with gameplay, but Snapchat has been using face-tracking with its ‘Snappable’ series of titles since April 2018. Regardless, this is a really interesting way to control a mobile game, and as long as it isn’t overused, it sounds like a fun mechanic. Reigns: Game of Thrones is available for pre-order now and costs $5.49 CAD in the App Store here. It’s only available for pre-registration on the Google Play Store here.